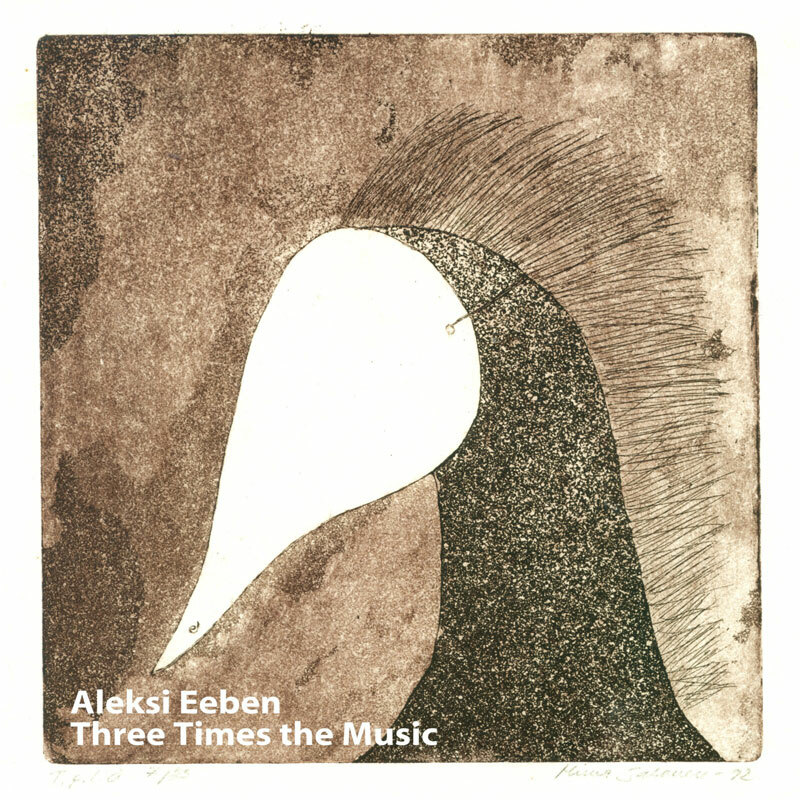 This one’s been coming for a while, but the latest release from incredibly unconventional Finnish musician Aleksi Eeben (the .MOD artist formerly known as Heatbeat) is the tremendously obtuse but lovable ‘Three Times The Music’, 8 tracks of offbeat but somewhat gorgeous bleeps and bloops. Aleksi is, as ever, a bit of a jazz fan, and the kind of melodies and stylings he picks makes him an acquired taste, to say the least. But if you dig the odd, odd grooving of first track ‘Clockwork’, then you’re set – from there, we have just all kinds of skronk, with the trilogy coming to the end with ‘Western Movement’. It carries on from there, though, with the beautifully understated ‘Quiet Place’ slinking up against the insanely named final track ‘To Climb A Tree Remove Branches And Reverse Gravity’. Pretty sure it makes no sense to us, and lots of sense to Aleksi, which is why he’s a true original, and someone we’re delighted to be releasing on Monotonik. “I thought of him just every day. The little sailor boy I knew. His shirt so white, his cap so blue his trousers so straight and smart. Along he travelled, the world o’er and o’er and never would he stop. This sailor boy I knew, I knew. This sailor boy I knew. I met him first in the park above. Way, way above. The clouds below like waves of snow. Oh, waves of snow and a boat. The sailor boy and his crew. I held his hand and skipped along and he grinned at me with his smile so true. The sailor boy with his smart black shoes and his walk a clip, clip, clip. Spiralling buildings we left behind as I stood upon his ship so fine. The waves of clouds of snow sublime. My sailor boy of my desire. And on we went into the night. The owls waved up as we went by. The grounds below a running, a running. Faster we went on. Speeding along the skies we went in our sailing boat so fine. Pink and blue and green we see, how everything falls between, our journey round the world, we so liked to leave. A ruin greets as the clouds depart. An ancient civilisation, hello! Tied to themselves we think again, of civilisation once so great. I stand beside the sailor boy and forget those long-gone souls. He took me to the end of the world. A drop of gold and mounds of dirt. We sat in them to play all day, my sailor boy and me. Full of joy and full of games, so innocent as we were. The end of the world, they all do say, is really no fun at all, but we danced around without dismay in the pits of dirt and clay. Black smoke rose from every hole. Up and up it went, to build the world on which we must live. Just a place where everyone lives. Our weird old globe, with cities above, amongst the clouds, and sailing boats without a sail and people with nowhere else to go. And sailor boys who hold my hand, and never do run away. Who never, ever once escape and who are always mine oh mine. With sailor boys who’re mine oh mine.